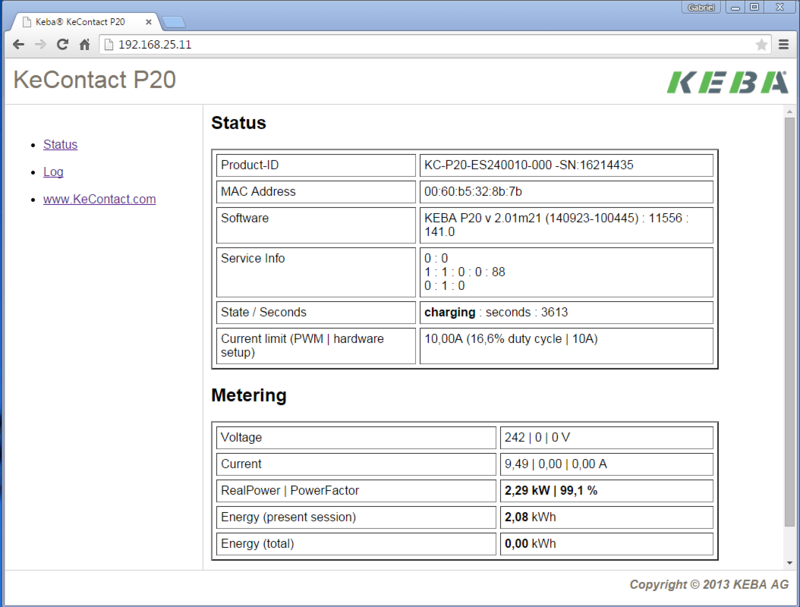 Home / Announcements / Accessing Energy Meter Data on a Kecontact b and c series. 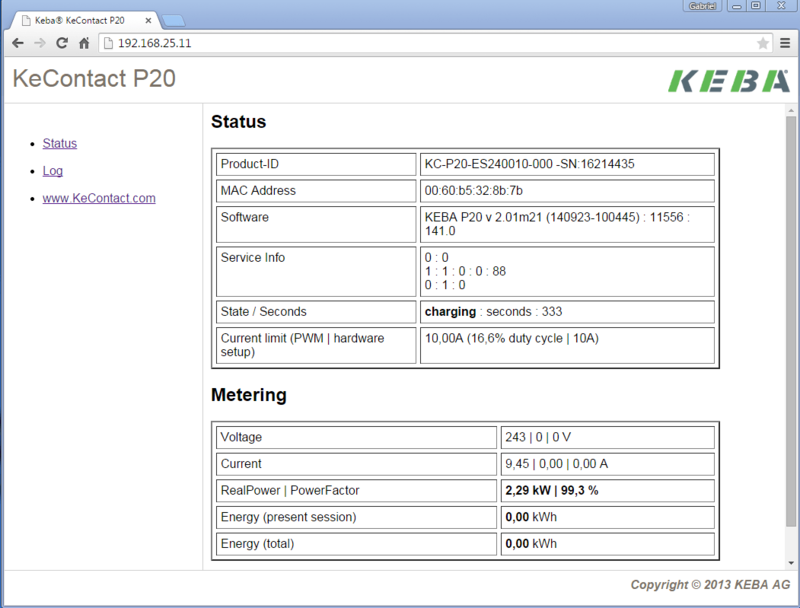 Accessing Energy Meter Data on a Kecontact b and c series. Sales question came in during the week: how does metering work when all the kecontact units have is multi coloured LEDs as a display? The answer is using the web interface available on the b and c series units, via the Ethernet port. 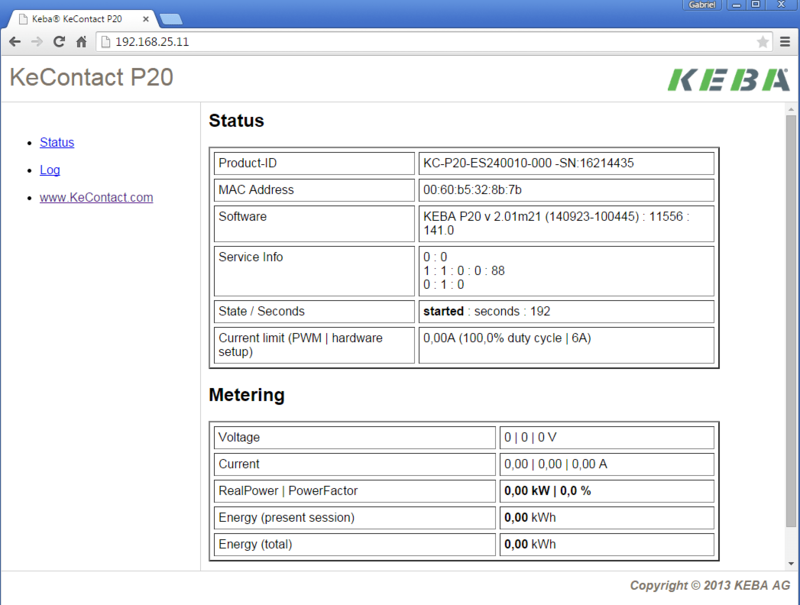 Using the DIP switches to set the up address, in this case the static address 192.168.25.11 we have the following page. Note the uptime is 102 seconds. After unplugging the Energy Total is updated, with the energy used for the session.